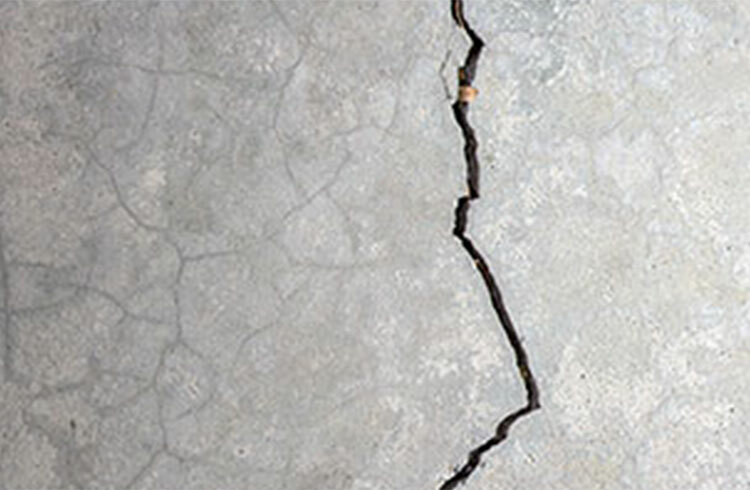 A foundation crack repair must be a top priority for anyone who owns a home. No matter the age, a house is always susceptible to foundation cracks in the walls and floor. American Dry Basement Systems uses an industrial-grade cement/epoxy, HJ3 or similar, to mend and hold the concrete in place. We don’t patch or provide a temporary bandaid. We actually heal the wall or floor back to its original condition. “Great company! We noticed water seeping thru a crack in the concrete in our basement. A friend recommended American Dry. They repaired the crack and we’ve had no problems since. Very professional.” – Dione N.
DIY Crack Repair a Bad Idea! We recommend, anyone, to seriously consider the consequences of a DIY project or hiring a shady, back alley waterproofing contractor. In most cases, they will prep the area wrong or use the wrong product. Off-the-shelf products usually don’t work well. The results are dreadful. Moisture in the walls or floor renders most patch kits useless. We want to emphasize the importance of getting a professional crack repair expert to stabilize the crack early on. Foundation cracks will shift a portion of your house, or in some cases, your entire home. Cracks in your home can be caused by factors such as the foundation settling and hydrostatic (water) pressure on your house. Neglect it long enough could compromise the structural integrity of any home. Foundation cracks can also lead to unwanted bugs, dirt, moisture and pollutants, which can result in mold contamination, to enter your home. Potential telltale signs of instability are sheetrock wall cracks, windows and doors not shutting properly, or even a leaning chimney can be a warning. These events are not something you want to overlook since the consequences could be deadly. We begins the repair process by chipping out the crack to remove contaminates from the surface. Then we place a series of set pins along the length of the crack. 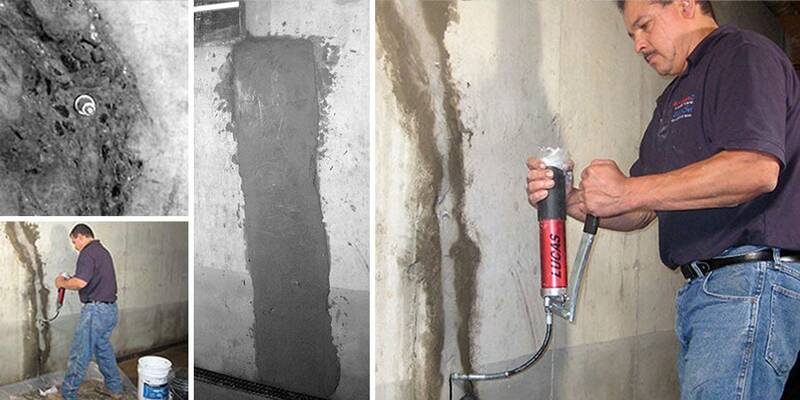 We inject a hydraulic cement/epoxy to create a bond between the surfaces. Finally, we follow the procedure with a coat of our propriety SuperSlurry or SuperCrete. A negative air scrubber removes contaminates and dust from the air while we work. We use a unique, industrial-grade crack injection epoxy that binds to the concrete. The epoxy makes sure the concrete stops shifting at that weak point. Afterward, we add our proprietary SuperCrete (Floor) and SuperSlurry (Walls). They have a crystalline component that grows into concrete at a molecular level making it stronger and waterproof. Maintain a Stable Foundation by doing regular visual inspection of your home is an important part of making sure the foundation is stable. 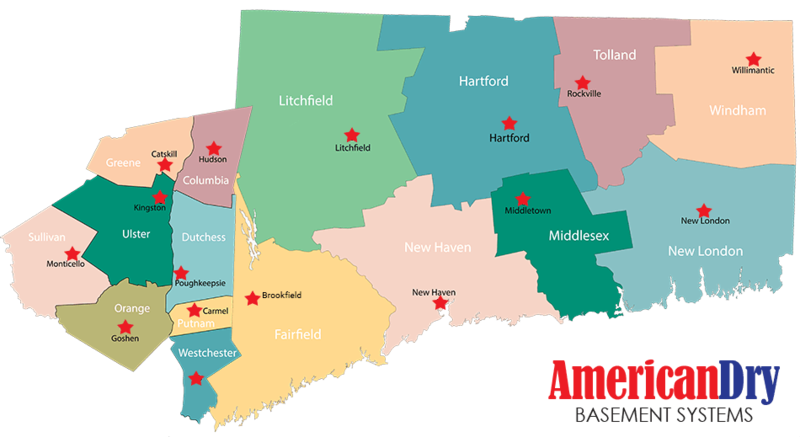 Fairfield, New Haven, Litchfield, Hartford, Middlesex, New London, Tolland and Windham-county-ct.
Westchester, Rockland, Columbia, Dutchess, Orange, Putnam, Sullivan, and Ulster. Schedule a free Inspection today.